NEW YORK. Lawrence Wright, Pulitzer Prize-winning author of The Looming Tower, has written a revelatory book about the Church of Scientology – GOING CLEAR – that will be published on January 17th by Alfred A. Knopf. GOING CLEAR will be published simultaneously as an eBook, an enhanced eBook, and as a Random House Audiobook. GOING CLEAR: Scientology, Hollywood, and the Prison of Belief is based on more than two hundred interviews with current and former Scientologists, as well as other sources. The book offers an exhaustive account of the church, from its founding by L. Ron Hubbard to its present-day leadership under David Miscavige. 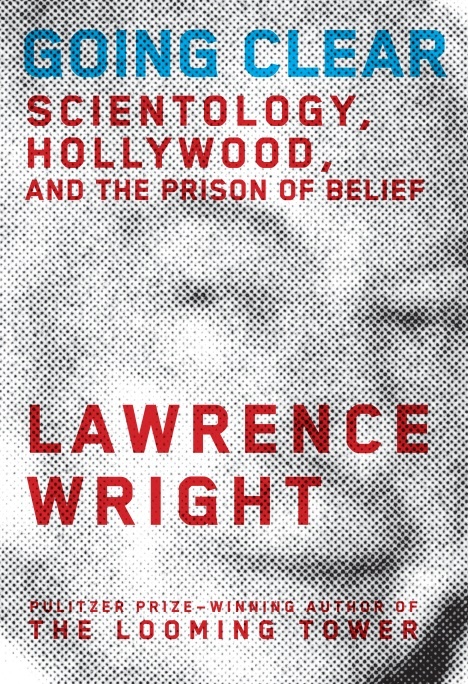 During his three-year investigation, Wright was not only able to convince former members to discuss their separation from the church, he was also able to persuade current Scientologists to speak candidly about their experiences. He looks into the church’s financial resources and examines their tax-exempt status. He presents startling new source material about its complex and controversial founder. And he examines the relationships of both Tom Cruise and John Travolta to the church. A portion of this material appeared in an article Wright wrote for The New Yorker. Knopf has set a first printing of 150,000 copies for GOING CLEAR.